On Tuesday, Google posted patch notes for the imminent Android security update for December, which will roll out to all Android devices starting today. These monthly updates normally fix potential vulnerabilities for devices running Android 9, but this month’s update includes specific patches for Pixel phones in addition to the normal security updates. The patches include improved camera performance, fixes for screen flickering bugs and apps accidentally closing while running in the background, and several others. Some Pixel 2 and 3 users have found that their phones will close apps running in the background prematurely, but this new update reportedly fixes that. Google refers to this change as “Improved memory performance in certain circumstances” for all Pixel 2, 2XL, 3 and 3XL phones, which will update the RAM management on these phones specifically to prevent unwanted app closures. Google is touting improved camera capture performance for the Pixel 2 and Pixel 3, which is also part of the RAM management fix. Pixel 3 users can also look forward to retooled autofocus behavior and improved shutter performance after they install the update. There are a handful of changes being patched into various media apps and features across the entire Pixel phone line. First, Google has adjusted the volume behavior when connecting to a Bluetooth device, which applies to all Pixel phones. Furthermore, owners of models from the original Pixel or Pixel 2 lineups should see quicker response for unlocking your phone while connected over Bluetooth. 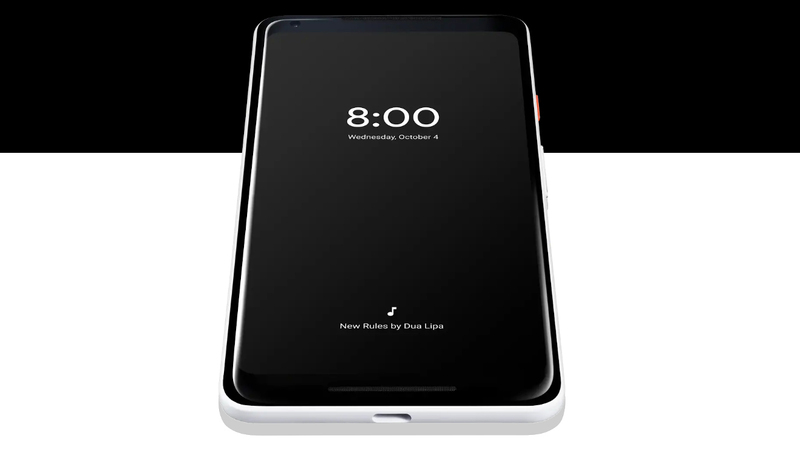 As for Pixel 3-specific media updates, Google says users can look forward to “improved contouring on HDR” when using the Pixel 3’s media apps, as well as better detection for when you plug in an audio device via the USB-C port. Pixel 3 owners who have picked up a Pixel Stand accessory for their Google Home will be happy to hear Google has “improved notification visibility” while your phone is docked to the Stand (though it’s unclear by the post as to what exactly those improvements are). You should also notice better Hotword recognition and performance as well. Finally, the last two patches in December’s security update apply to Android Auto features, which expand and improve compatibility for Pixel 2 and Pixel 3 devices, as well as making overall improvements to Pixel 3 audio performance for some vehicles when using Android Auto. As mentioned above, the update and all applicable features patches will roll out to all Android devices starting today, 12/5. You will get a system update notification when it’s available, at which point all you need to do is run the update. However, Google also releases the OTA and factory images for all its updates, and the December update is currently live for those who prefer to flash OS updates to their devices manually. 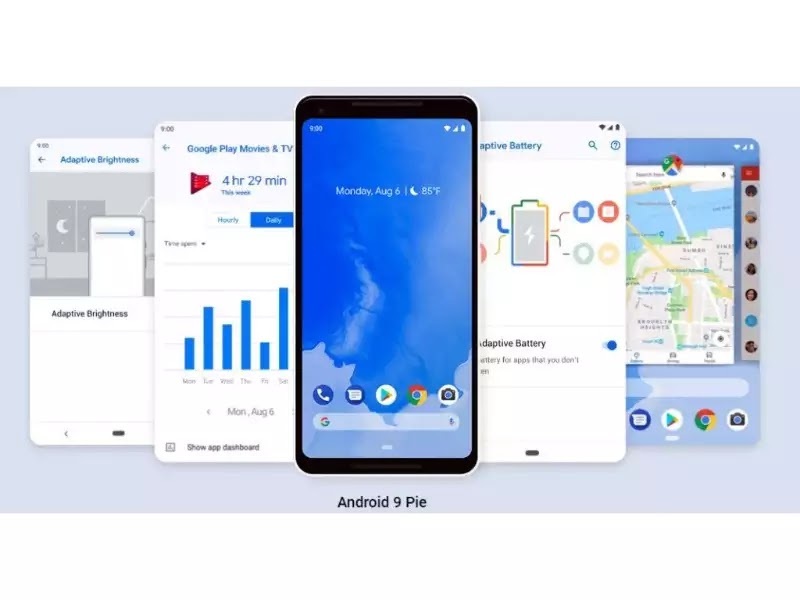 Google started rolling out the latest version of its Android operating system, dubbed Android 9.0 Pie, in early August. The OS brings several new features to the Android smartphones including gesture navigation, smart text selection, redesigned quick settings, simplified volume controls and adaptive battery mode. Android 9.0 Pie also changes the way users interact with their smartphones as well as the way phones interact with them. While as always Google smartphones and devices are the first ones to get the latest Android update, several other smartphone companies too have announced a list of their devices that will be receiving Android 9.0 Pie update. According to latest Android distribution numbers, Android Pie has a miniscule 0.1% share. However, with companies such as Nokia, Sony and others planning to roll out Android Pie updates for their smartphones Android 9.0 market share is likely to grow. Wondering if your smartphone too is eligible to get Android Pie update? Check the list of smartphones set to get Android 9.0 update. The Samsung Galaxy S8+ is powered by company's own Exynos processor. The Samsung Galaxy S9 12 MP Rear camera with Dual Aperture lens and 8MP front shooter for selfies. Samsung Galaxy S9+ comes equipped with dual rear camera setup. The device sports two 12MP modules out of which one is a telephoto lens and other is a wide angle lens. The AI-centric Honor 10 smartphone is powered by company's own Kirin 970 processor. Honor Play sports a 6.29-inch screen of FHD+ resolution of 2340 x 1080 pixels with 19.5:9 aspect ratio. The View 10 is the company's first artificial intelligence-based smartphone making the USP of the device. Running Android 8.1 Oreo operating system, the Blackberry Key2 is powered by Qualcomm Snapdragon 660 processor. The smartphone is powered by the octa-core Qualcomm Snapdragon 835 processor along with 6GB RAM. Moto X4 comes with IP68 rating which makes the device dust and water resistant. Moto G6 is powered by Qualcomm Snapdragon 450 processor. The Moto G6 Play packs a 4,000 mAh battery. The Moto Z2 Force includes a dual-camera setup at the back, making it the first Motorola smartphone to have the feature. Moto Z2 Play is backed by a 3,000 mAh battery and offers a 5.5-inch display. Measuring 157x75x9.6m, the Sony Xperia XA2 Plus is backed by a 3850mAh battery with Qualcomm Quick Charge 3.0 support. Sony Xperia XA2 Ultra sports a 6-inch full HD display with 1080x1920 pixel resolution. The Sony Xperia XZ Premium was first smartphone in India to launch with Qualcomm’s latest Snapdragon 835 processor at that time. The Huawei P20 Pro is the world's first triple camera smartphone. Nokia 3.1 comes with a 13MP primary and 8MP secondary camera. Nokia 6.1 is backed by a 3,000 mAh battery which claims to offer 20 hours of talktime. Nokia 3 sports a 5-inch HD display and is powered by a 1.3GHz quad-core MediaTek 6737 processor. The Nokia 5 features a 5.2-inch IPS LCD display, Qualcomm Snapdragon 430 SoC, 2GB RAM and 16GB internal storage. Nokia 6 runs Android 7.1.1 Nougat with Google Assistant and has a 5.5-inch display. The USP of Nokia 8 is its dual rear camera setup which is powered by Carl Zeiss optics. The smartphone features two 13MP cameras at the rear end. Nokia 2 is backed by a 4,000 mAh battery which claims to offer 2 days of battery backup. Samsung Galaxy Note 9 is powered by the company’s own octa-core Exynos 9810 processor. Samsung Galaxy Note 8 was the first Samsung device to come with a dual rear camera setup. Moto Z3 Play comes with a 6-inch full HD+ display with 1080 x 2160 pixels resolution.